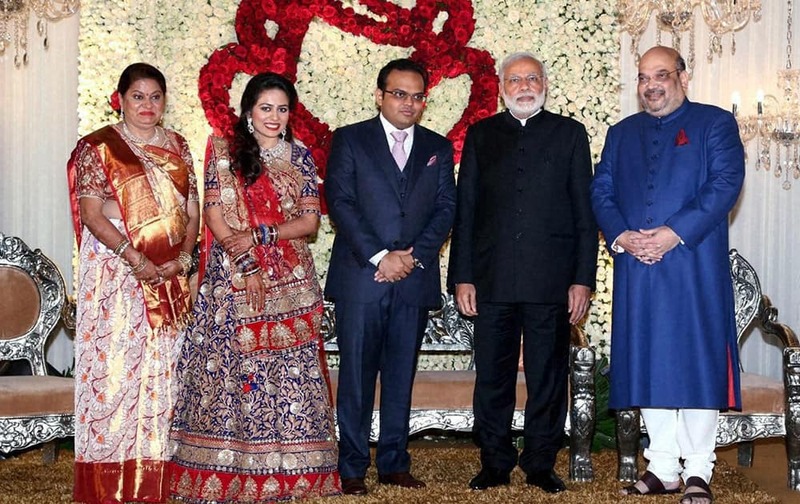 Prime Minister Narendra Modi with BJP National President Amit shah and his son Jay and daughter in law Rishita during their wedding reception. 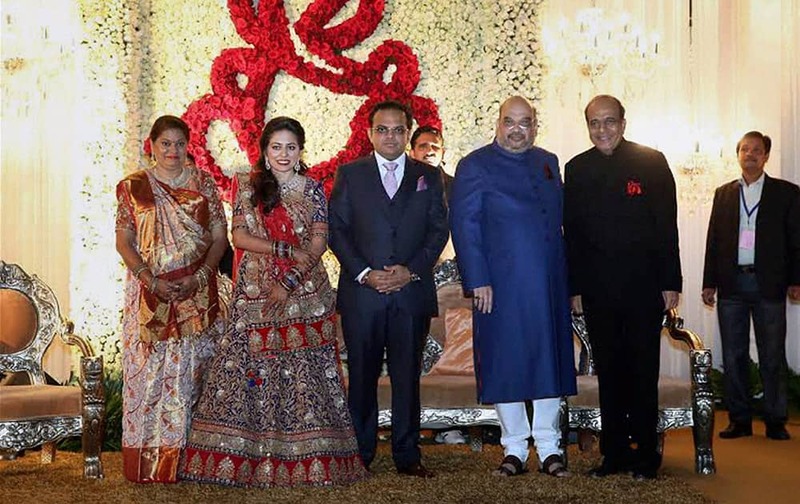 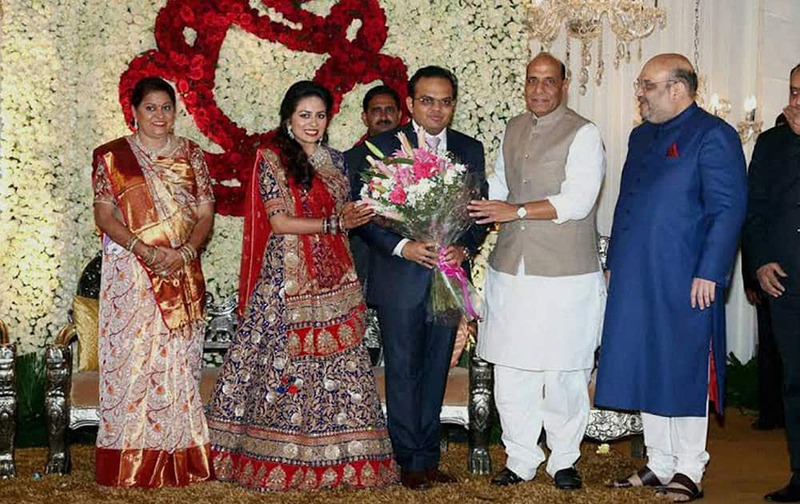 Home Minister Rajnath Singh at the wedding reception of BJP President Amit Shah's son Jay and Rishita in New Delhi. 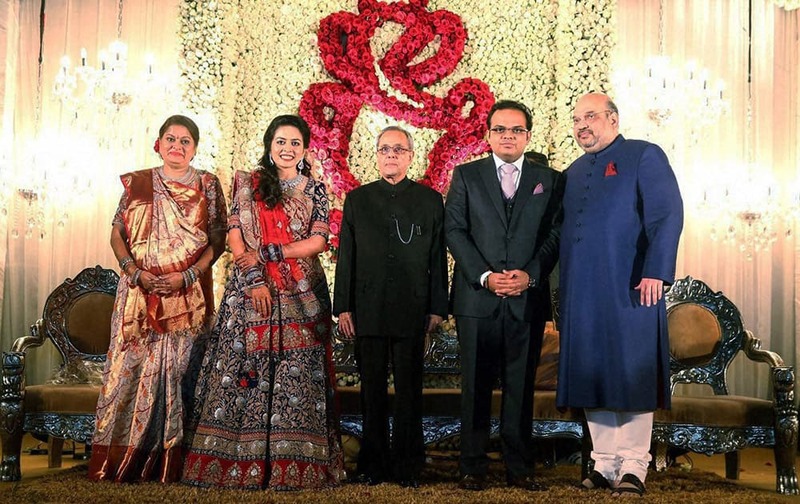 President Pranab Mukherjee with BJP National President Amit shah and his son Jay and daughter in law Rishita during their wedding reception in New Delhi..
Telangana Chief Minister K Chandrashekhar Rao and Jagdish Mukhi at the wedding reception of BJP President Amit Shah's son Jay and Rishita in New Delhi. 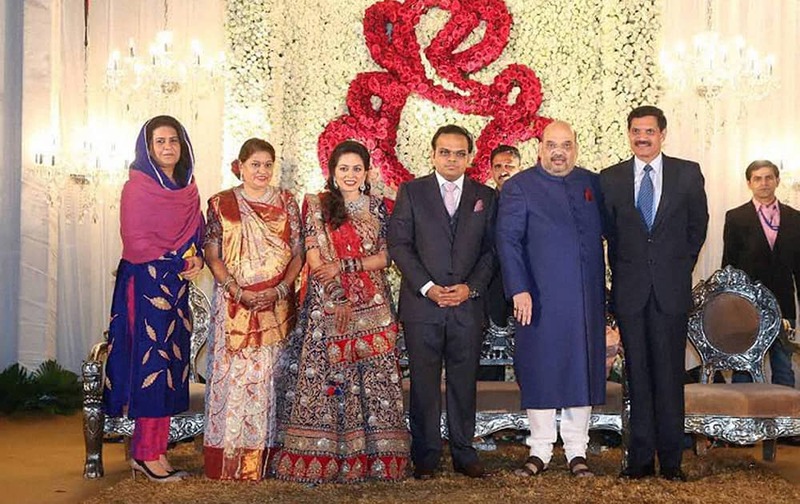 BJP National President Amit shah with Army chief Dalbir Singh Suhag and his son Jay and daughter in law Rishita during their wedding reception in New Delhi. 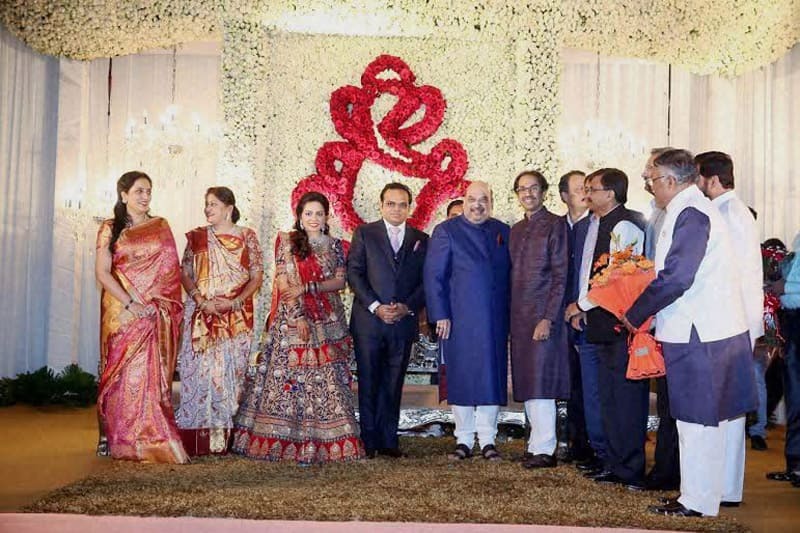 Shiv Sena President Uddhav Thackeray at the wedding reception of BJP President Amit Shah's son Jay and Rishita in New Delhi. 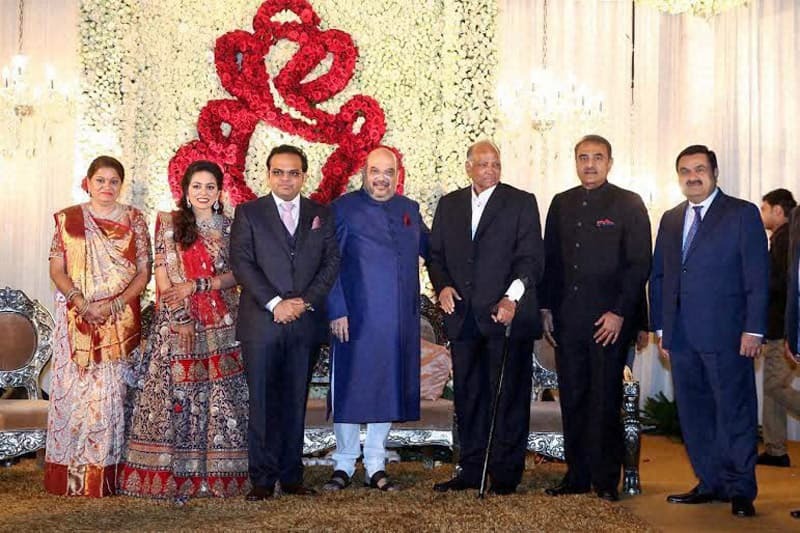 NCP leaders Sharad Pawar, Praful Patel and industrialist Gautam Adani at the wedding reception of BJP President Amit Shah's son Jay and Rishita in New Delhi. 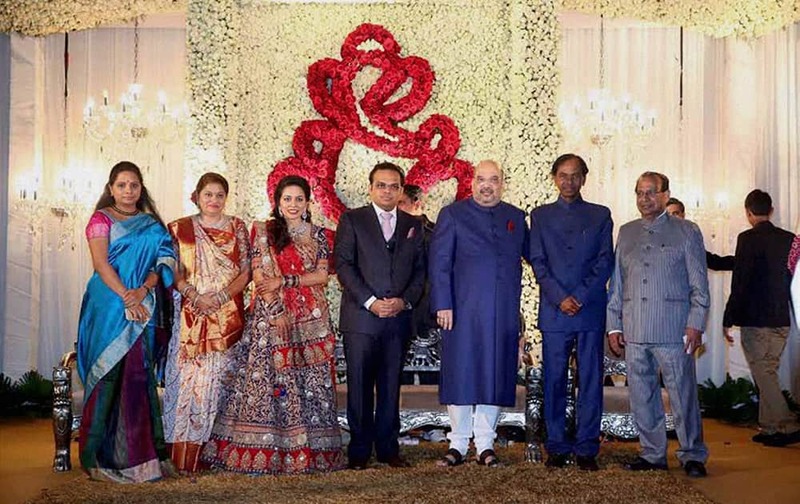 TMC leader Dinesh Trivedi at the wedding reception of BJP President Amit Shah's son Jay and Rishita in New Delhi.